The TruLam TL-320B 12" Pouch Laminator is a compact, easy-to-use desktop laminator that is powerful enough for office use yet affordable enough to fit into almost any budget. This feature-packed laminator has a user-friendly digital display and electronic temperature controls, four silicone rollers, and a reverse switch to aid in jam clearing. The TL 320B is capable of laminating with pouches up to 10 mil in thickness, making it an ideal choice for all of your laminating projects. This versatile model has a durable metal housing and features a one-year warranty. The TL-320B is compatible with all major brands of laminating pouches, including GBC, Fellowes, Universal, Purple Cows, and Lamination Depot's own high-quality laminating sheets. "How frequently am I laminating?" Budget weighs heavily on decision-making, but it is also important to evaluate the return on investment: a roll laminating machine's price may initially be attractive, but not after it is replaced yet again in a short period of time due to heavy usage or high-volume workload. If your needs exceed your existing laminator's capabilities, you might need to consider an upgrade - in some cases, maybe even a commercial-grade laminating machine. "What kind of film am I used to purchasing?" If you have a large supply of previously-purchased roll laminating film and want to use it with your replacement machine, gather the film's specifications to ensure future compatibility. In summary, you need film thickness, width, and core size of your existing film. Some machines can only laminate up to 3 mil, whereas others can handle 5 or 10 mil. Though the most popular widths for a school or office roll laminator are either 25" or 27" and most machines in this category have a 1" core, there are exceptions. If you're not sure what your machine's specifications are, try referring to the manual; otherwise, we can absolutely help you! For an even quicker shortcut, ask us within the comment section which machine is a suitable replacement for you, and we can provide you with a specific recommendation. 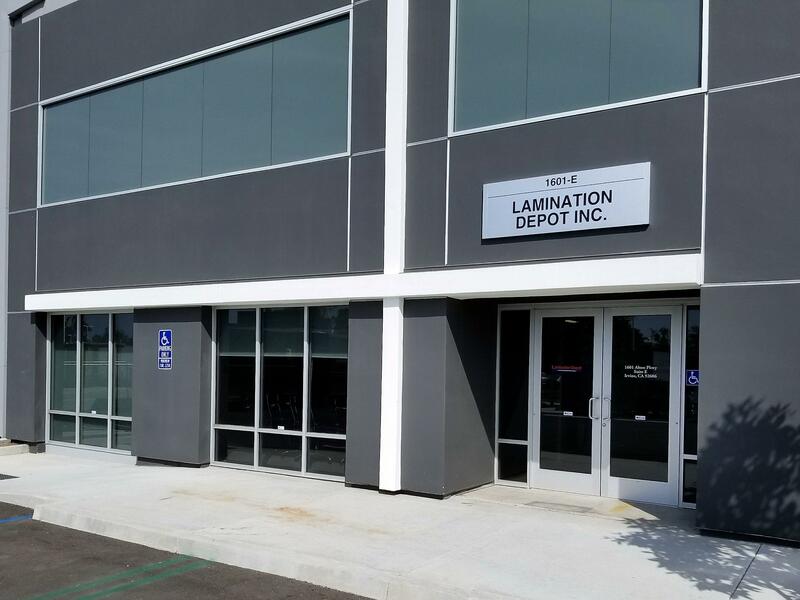 An excellent way to cut down on your labor costs during high volume laminating projects without sacrificing a quality end product is to utilize a commercial laminating system. The Fujipla ALM3220 automatic laminator is an exemplary piece of laminating equipment; it automatically feeds, laminates, and trims projects, virtually unattended! Aside from some of its great features (including the ability to toggle between encapsulation or single-sided lamination, an ultra-quick warm-up time of less than 5 minutes, a footprint of less than 3 square feet, locking roller casters that enable portability, and a feeding tray capacity of up to 200 sheets), this fully-automatic laminator offers major cost savings when compared to traditional pouch laminating or roll laminating used in conjunction with a manual paper trimmer. An economy pouch laminator can laminate up to 12" per minute while a roll laminator laminates 36" per minute. The ALM3220 has a top laminating speed of 48" per minute. Pouch laminating doesn't require trimming after laminating (since laminating pouches are pre-cut), but roll laminating does; for this example, we'll assume 100 sheets are trimmed per hour. The Fujipla ALM3220 trims projects while they are being laminated, so there is no additional time added to the project in that respect. The total time to produce 1,000 finished sheets by pouch laminating is 15 hours when the pouches are loaded and fed by hand; the speed of lamination is directly affected by the time involved to manually load and center paper into the pouches. Roll laminating production time, which requires hand-feeding the project into the machine and hand-trimming afterwards, takes a total of 14.5 hours to create 1,000 finished sheets. The ALM3220 finishes 1,000 sheets automatically in just 3.13 hours! Aside from the physical production time being reduced, the ALM performs all of the required tasks to finish a project all by itself, which eliminates labor cost completely since it can operate unattended. When compared to the results of pouch laminating, the finished documents produced by the ALM3320 are superior. Only encapsulation is possible with pouches; they cannot be trimmed to be flush with the edge of a project (since it would come apart over time). Pouches with adhesive designed for toner-based output are limited in size and finish, expensive, and sometimes hard to come by. Operator fatigue will greatly reduce speed of a project completed with a roll laminator due to the feeding and trimming aspects. The accuracy of trimming can be inconsistent, since it is done by hand. Job sizes of more than 25 sheets are often discouraged due to high labor involvement. No labor is required beyond the initial job set up, which takes less than 5 minutes. It produces a uniform finished stack. The versatility of this machine allows for complete encapsulation, flush cut, or one-sided laminations. The Fujipla ALM3220 automatic laminator presents not only a great return on investment, but becomes a profit generator for any high-volume work environment that demands high-quality lamination fast! Trying to cut down both production time and expenses? Consider laminating multiple documents at once by sharing supply surface area. If you have a pouch laminator with a throat measuring at least 9”, you can load multiple pouches side by side in a letter-sized carrier sheet and laminate them together in a single pass. This method is especially convenient when laminating small documents like business cards or luggage tags, since you can easily fit a number of pouches into a carrier sheet. Because you are inserting each document into its own pre-cut laminating pouch, every finished piece will look polished and professional, with identical dimensions and rounded corners. If you have something like a custom-sized strip-shaped document, you may be able to lay the printed material side by side in one larger pouch, then trim them after laminating. However, loading too many documents into one enormous pouch could lead to some problems. Pouch laminating machines are only so capable of pushing air out of a pouch while laminating - if the machine “leap frogs” over too many items in a pouch, a pocket of air can get trapped within the pouch and not all items will get laminated. Placing multiple documents in one pouch can technically save material cost; however, we strongly recommend perusing our wide selection of laminating pouch sizes since one that is pre-cut to the dimensions you need will save you time with clean up later and may in fact be cheaper to purchase than ones with larger dimensions. Roll laminators have rollers with a much larger diameter than those of pouch laminators, which means that they can apply a greater amount of pressure during lamination and can overcome the above mentioned issue. Some roll laminating machines also have the option of a slitter attachment that separates documents as they exit the machine. While the laminator is running, you can insert your documents using the feed table and built-in guides (if present) to ensure consistent placement for easy trimming after lamination. If you have any technical questions about laminating, ask us within the comment section - we’re happy to answer them for you! The take-up assembly on a laminator is used when laminating with pressure sensitive film (also called "cold-process film"). Because pressure-sensitive lamination has a sticky adhesive layer that backs the film, a paper-based release liner is applied to cover the layer of glue and prevent it from adhering prematurely. The supply rollers on the laminator hold the roll film itself, but that release liner has to go somewhere once it is peeled away from the film; keep the discarded liner off the floor (or off your project!) by using a take-up assembly. A take-up roller helps to pull the paper liner away from the film during laminating and neatly collects it for easy disposal. Take up assemblies either come pre-mounted on a roll laminating machine or are sold separately for installation after purchase. If your firm plans on performing cold-process laminating, be sure to look for a roll laminator that includes a release liner take-up assembly. If you have any questions about this or another type of laminating machine or process, please ask us within the comment section - we're happy to help you! What is the "Throat" of a Laminator? The opening on both pouch and roll laminators into which documents are inserted is called a "throat." A laminator's throat size indicates its maximum laminating width - the larger the throat size, the wider the sheet that can be accommodated. Pouch laminators most frequently have either a 9" or 12" throat, both of which easily accommodate letter-sized documents. Laminating machines like the Akiles Pro-Lam 100 that are designed for laminating ID cards, business cards, and luggage tags have throats as small as 4" wide. Premium or professional pouch laminator models often have 13" throats or larger. In addition to being able to laminate wider documents, laminators with large throats also increase laminating productivity when used with small documents, since you can run multiple pouches side-by-side. Roll laminators have throats as small as 12" wide or upwards of 60" wide (in which case they are referred to as "wide-format laminators"). Roll laminating machines with 27" throats are often used in school settings or small print shops, because they allow two letter-sized documents to be laminated simultaneously with ease (in addition to laminating larger documents such as signs and posters). If you have any questions about laminating machines, leave them for us in the comment section - we'll give you an answer! Create Your Own "Splatterproof" Recipe Cards! Do you have cookbooks or notecards covered in whatever recipe is printed on them - literally? Laminating recipe cards allows printed recipes to be used many times over without becoming as messy as a busy kitchen. Not only is it an excellent way for restaurants to preserve frequently-used recipes, but this method can be used at home, too! Recipes can be printed, handwritten, or clipped from a magazine or newspaper. After use, they can be easily wiped clean with a damp cloth and stored away for future use. Laminating your recipes also makes them far more durable so that they can be cherished for years to come. The best way to laminate recipes is using Recipe Card Laminating Pouches (measuring 3-3/16” x 4-3/8”). If you prefer something larger, Letter Laminating Pouches (measuring 9" x 11-1/2") allow you to go from printer to pouch in no time at all. Home pouch laminators that are capable of laminating pouches 3 - 5 mil thick are available for less than $100; office pouch laminating machines are designed for use with pouches up to 10 mil and can accommodate considerably higher volumes of use. For an even more professional and durable finish, combine a stack of laminated recipes with a single screw post or bind them together using a plastic binding comb or spiral binding coil to create a highly-customized mini cookbook! The mental image that is frequently associated with laminating involves a large machine loaded with rolls of laminating film, into which a project is loaded and exits encapsulated. These roll laminating machines are commonly found in schools and commercial print shops. However, laminating can also be done on a much smaller scale using what are called laminating pouches: pre-cut sheets of laminating film that are sealed on one edge that are then run through a small machine about the size of a household toaster. Pouch laminating is convenient and portable. Pouch laminators often accommodate projects as small as an ID badge or as large as 11" x 17", so long as the shorter dimension can fit within the throat of the machine; pouch laminator prices range within hundreds of dollars. Roll laminators can be as small as 12" or as large as 60"; their prices range within thousands of dollars. For a project with a minimum dimension of 13", pouches with the closest shorter dimension would either be too small (12") or too big (15"). Pouches can be custom made, but do cost a bit more than popular pre-made sizes. Roll laminating film, however, is sold in 27" widths, which fit two 13" projects side by side. The total project cost would fluctuate depending on the number of items being laminated at a time and which thickness or texture of film is chosen. Due to their compact nature, pouch laminators have smaller rollers. In order to increase laminating speed, one must select a machine with multiple sets of rollers. For example, a 6-roller machine is much faster than a 2-roller machine. The diameter of a roll laminator's rollers is much larger than that of a pouch laminator and can laminate feet per minute as opposed to inches. Laminating sheets are precisely cut to desired dimensions and the corners are rounded; the only trimming necessary for a project is for whatever is inserted into the pouches; once an item is laminated, it’s finished. Roll film projects not only require trimming, but they also require the corners to be rounded if desired. If you would still like more information to help you decide which process is more suitable for your project needs, please ask us within the comment section.